Huge Savings Item! 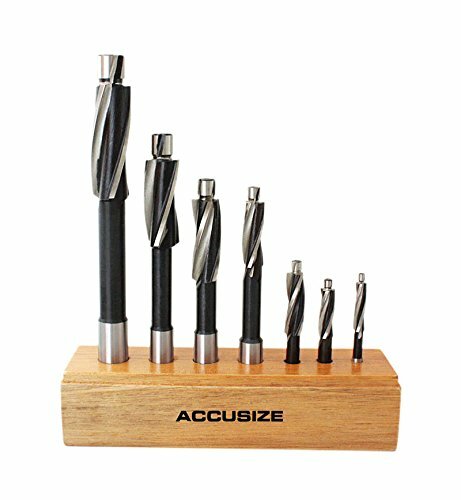 Save 11% on the AccusizeTools - Metric H.S.S. Solid Cap Screw Counterbore Set, 3 Flute, Straight Shank, 7 Pcs/Set, 508S-007M by Accusize Industrial Tools at In The National Interest. MPN: 508S-007M. Hurry! Limited time offer. Offer valid only while supplies last. Shank sizes: M3-5.5mm/.218", M4-7.9mm/.312", M5-7.9mm/.312", M6-12.7mm/.500", M8-12.7mm/.500", M110-12.7mm/.500", M12-15.8mm/.625"